* Any artifacts bought through auction (including the gold items) cannot be traded in, nor can their power be transferred to any other item. * Iron Coin and Credit auctions allow you to bid whatever value you want on them, even if you don't have the currency on hand. Gold items require you to have the gold. * When IC/CR auctions end, you will have a week to get together the amount you won the bid for, or we shrub you until you can pay up. We take this seriously. * We don't do takebacks on bids, even if you messed up and added an extra zero. Be absolutely careful with your bidding commands. 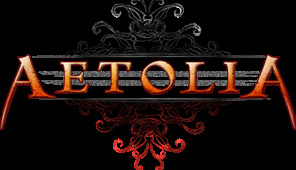 * Read both HELP AUCTIONS and HELP AUCTIONHOUSE if you are unfamiliar with the Auctioning system in Aetolia. * Yes, bound credits/bloody iron coins can be used to pay for the auctions! Will allow you to resurrect someone at range once per Aetolia day, as long as you are in the same area as they died. Will work on undead or living. Ownership of the Libram entitles the owner to free transfers of artifact powers between any of their owned artifacts. This will be traded in to me for a COMPLETE Divine Phylactery of your Choice, providing the Divine approves this. Don't get this thinking Damariel will okay the Order's greatest enemy to use His. By utilizing the star chart, you can increase the influence of a particular star upon you to receive its effects. However, it will also bring forth a random negative star to influence you. While under the effects of the star chart, all other astronomy effects are cancelled out. Much like the Bag o' Bombs artifact, this bag has a chance of generating random bombs every day. Unlike that lesser artifact, this bag is for the TRUE master, and can generate Mirrorbombs and Bamboozlebombs. After a twenty second channel, the Eye will provide the 'Obscuring fog', 'Hidden room' and 'Privacy' features for the room in which it is DEPLOYed. This effect will last in the room for two hours, during which the Eye can not be removed or called back to you. Yes, that is like the Parasol of Privacy... but this is better, it's Ophidian! We also have a whole mess of relic pieces up for auction. PS. Auction is srs business. Auction errors are a big deal, and possibly one of the single largest mistakes that can be made with credits in Aetolia. I really don't want anyone to have buyer's remorse here! Penned by my hand on Closday, the 20th of Variach, in the year 474 MA. Your post doesn't mention Shapeshifter Jaws BUT there are some in the Auction?